I think most people that live in the southern mainland states of Australia eg. New South Wales, South Australia and Victoria have a bit of a soft spot for the Murray River. At a total length of 2520 kms it is Australia's longest river. The Murray is also the third navigable river in the world, after the Amazon and Nile. It is continuously navigable for 1986 kms and as it leaves South Australia it becomes the border between South Australia and Victoria. For half a century from 1853, the Murray was a virtual highway with paddle steamers carrying wool, wheat and other goods up and down the river. 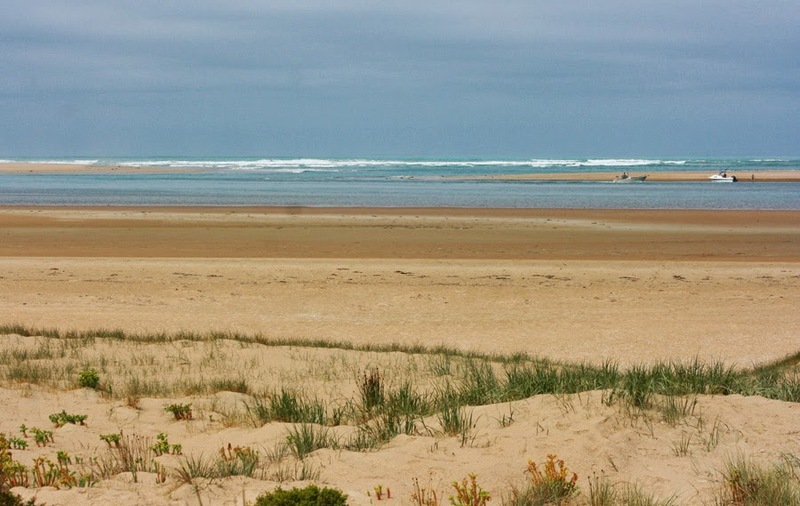 Yesterday we went for a drive to the location where this beautiful river meets the ocean in Goolwa, South Australia. 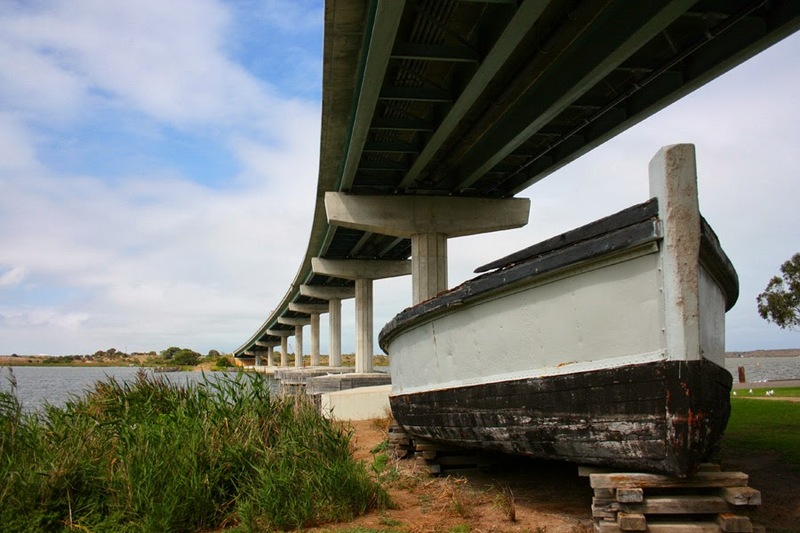 Goolwa is a historic port on the Murray near the Murray Mouth. The name "Goolwa" means "elbow" in Ngarrindjeri, the local Aboriginal language, and the area was known as "The Elbow" to the early settlers. 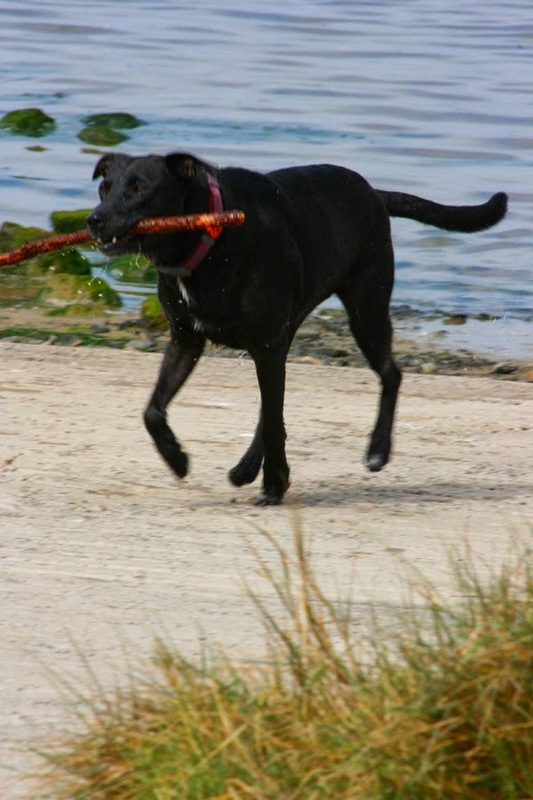 Jessica enjoyed the Murray too. We are now staying in the small riverside township of Mannum. Mannum was born out of the business bought to this area by the Paddle steamers travelling along the Murray, but declined when the railways were constructed. 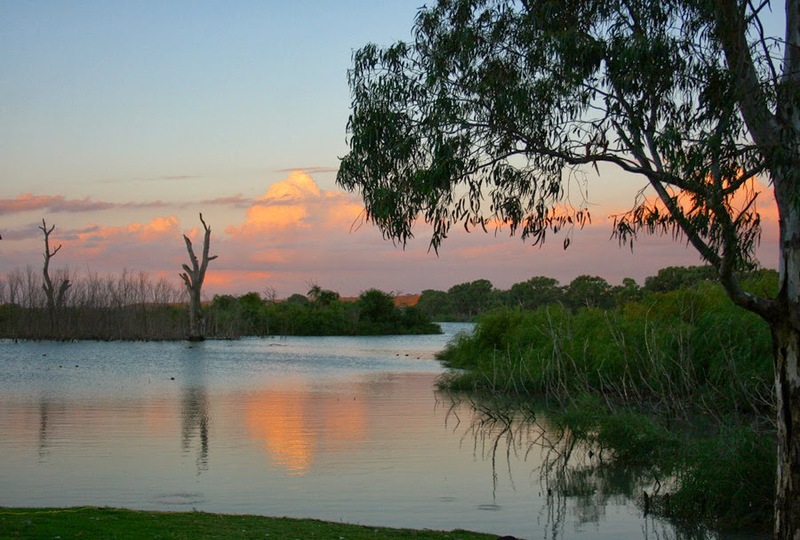 Today, Mannum is a busy township and a popular tourist destination, particularly during the summer months. To get across the Murray in Mannum you have to jump on the free ferry, which is one of around nine ferries that cross the full length of the Murray. As in other Murray towns there are still some paddle steamers giving tourists a feel of the past. 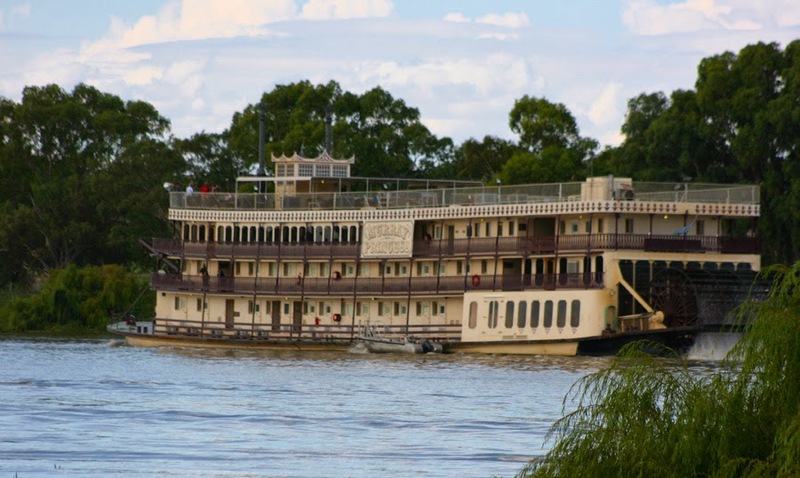 As we sat beside the river we were lucky enough to have the beautiful "Murray Princess" paddle up the river on one of it's 3, 4 or 7 night cruises. What a beautifully romantic site it was.